Youngsoft labs > Question > How to export workbench rules from an environment to other? How to export workbench rules from an environment to other? I am using Endeca / Oracle guided search 11.0 . I am looking forward to exporting the search rules viz. 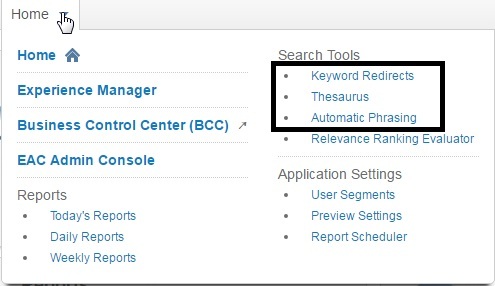 Keyword redirects , thesaurus and Automatic Phrasing . This is needed as business is using the lower environments to add the entries and want that in all environments so they don’t have to rework. Please let me know how can that be done. Oracle Endeca Commerce has OOTB feature that allows you to export rules from an environment . You can write your own script to migrate rules from environment to other . Connect to system from where you want to export rules. Connect to system where you want to import rules.